Over the years we have put together quite a Fossils collection. Fossils are any preserved impressions, remains, or trace of any once-living thing from a past geological time. Examples can include bones, shells, exoskeletons, stone imprints of animals or microbes, hair, petrified wood, oil, coal, and DNA remnants. They say the oldest Fossils are from around 3.48 billion years old to 4.1 billion years old. They vary in size from tiny bacteria to dinosaurs, animals and trees, many meters long and weighing tons. Normally only a portion of the deceased organism is preserved, usually that portion that was partially mineralized during life, such as the bones and teeth of vertebrates, or the exoskeletons of invertebrates. Fossils may also consist of the marks left behind by the organism while it was alive, such as animal tracks or feces (coprolites). We have examples of all these. 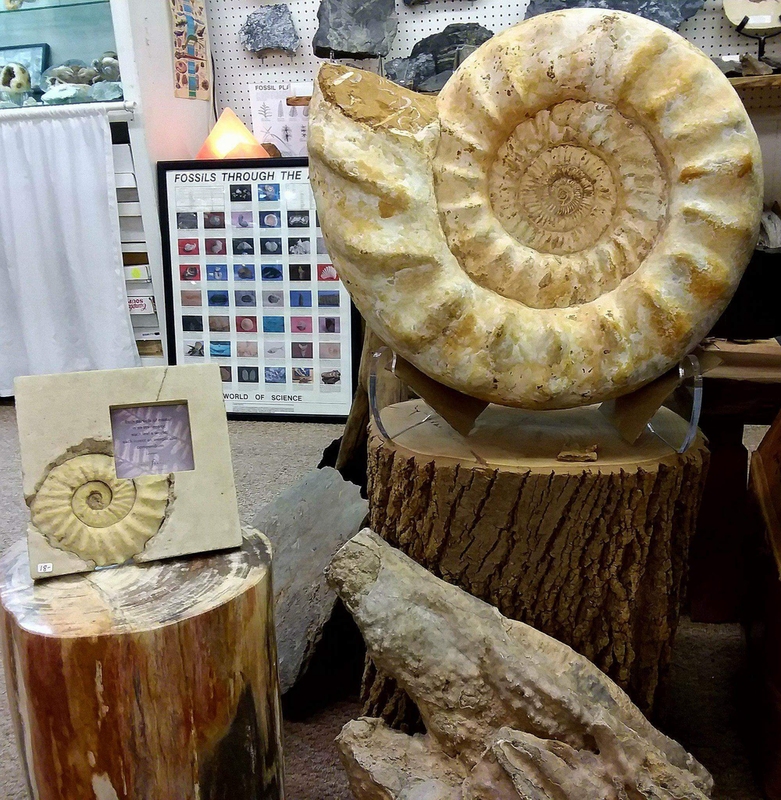 We have some pieces that belong in a museums from fossilized crabs from Italy, Megladone teeth, Dinosaur eggs and more. There fantastic to see up close!